Logging in as a Participant is pretty straight forward. 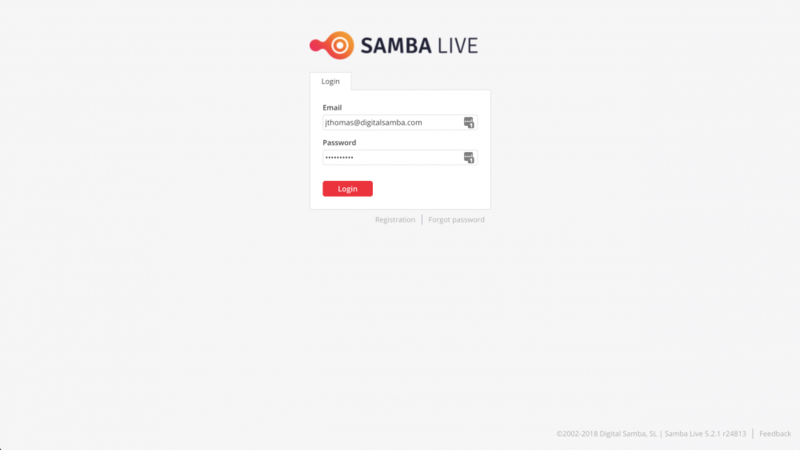 Just go to the login page, samba.live/login, and use your email and password to get into your meeting. You can create your login information by following the link sent to you in your welcome email, or you can do so by clicking “Register” at the bottom of the login box.